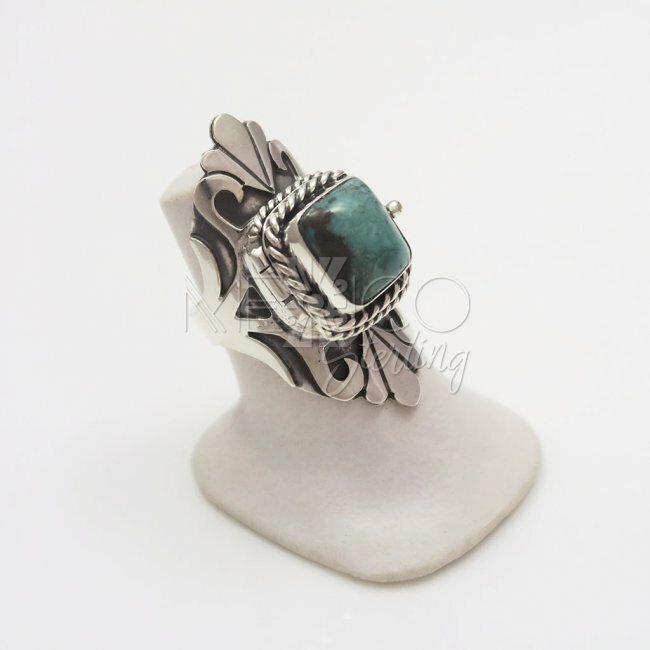 Silver-Turquoise Exotic Fan Poison Ring [RNG3397] - $72.00 : Mexico Sterling Silver Jewelry, Proundly from Mexico to the world. 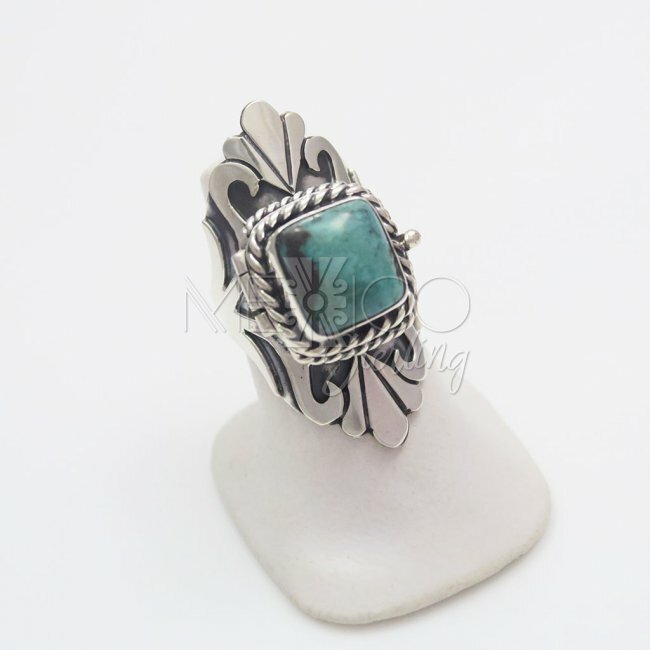 Artistic Silver and Turquoise poison ring from Taxco, Mexico. 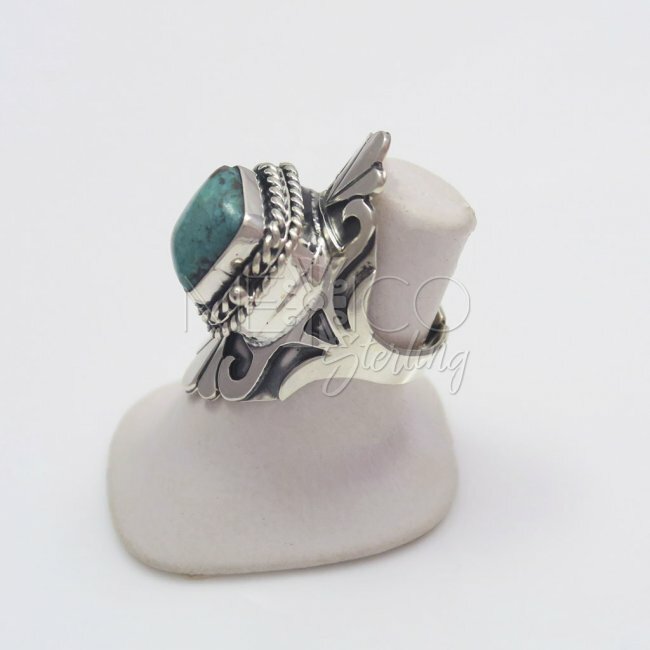 Gorgeous piece of jewelry with lots of personality. 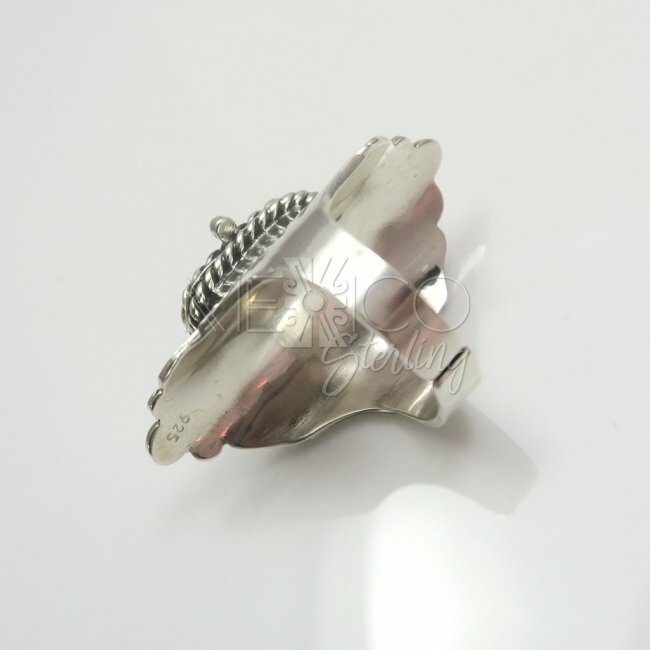 This is an artisan Mexican silver piece, handcrafted with excellent workmanship and beautifully finished. 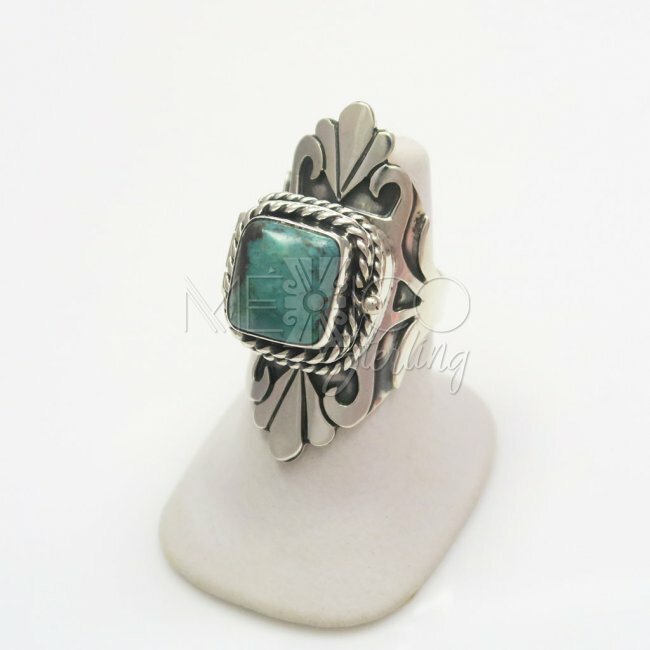 This silver ring is highly decorated with long, fan like twirls and a central piece that takes your breath away, with that nice green/blueish color and darker natural spots, giving the stone a wide interesting variety of tones and shades. 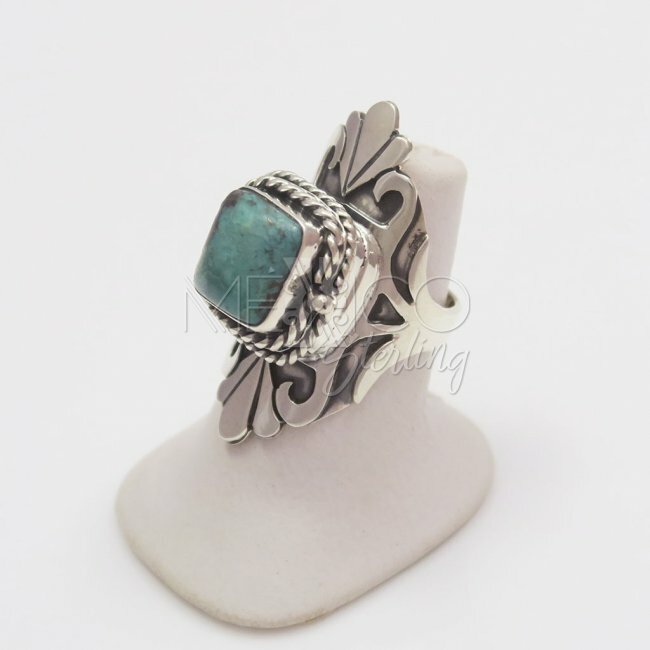 It is definitely an statement ring for those who love unique and artistic Mexican designs. 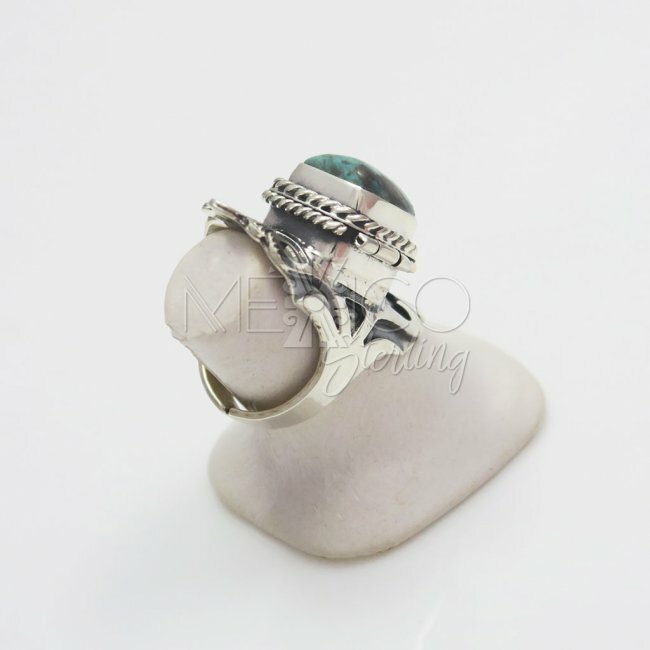 This is for sure a collection ring, it will turn heads! 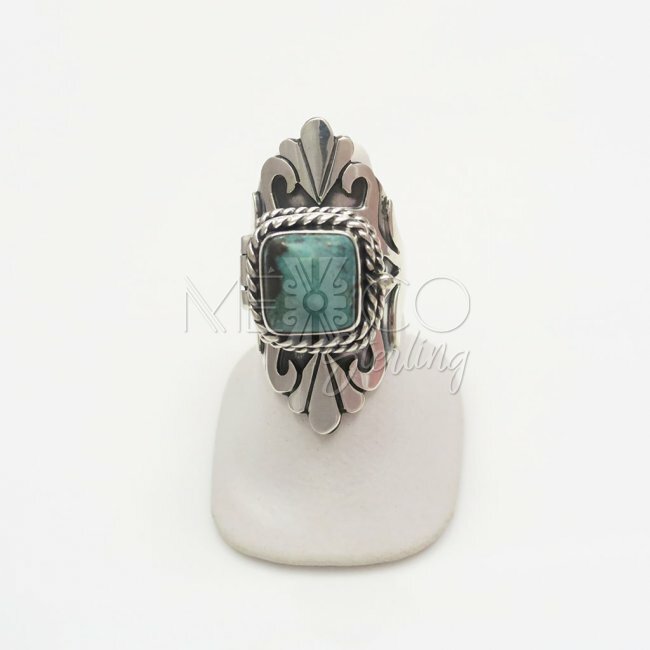 The silver poison ring is crafted with the Old Taxco style with lightly oxidized silver, that gives the whole composition a vintage kind of look. Perfect for casual or more semi formal events. 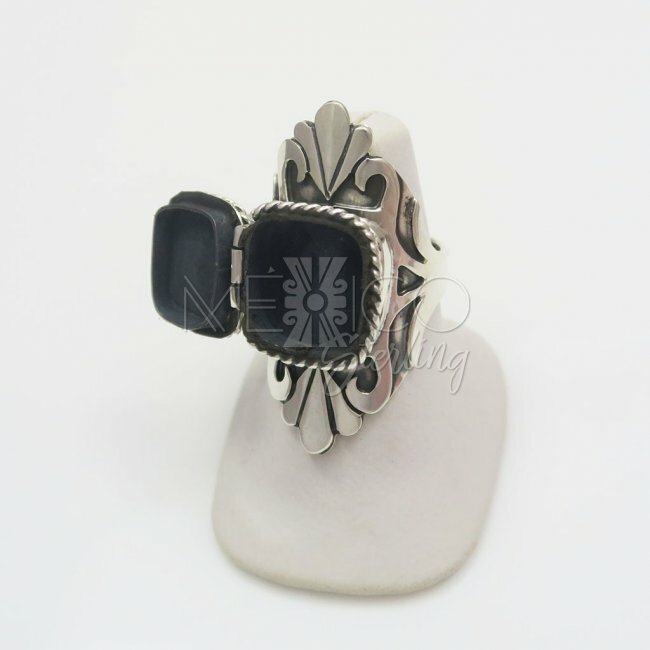 It is also substantial in weight with 15.2 grams, a large silver ring with a great, unique look. 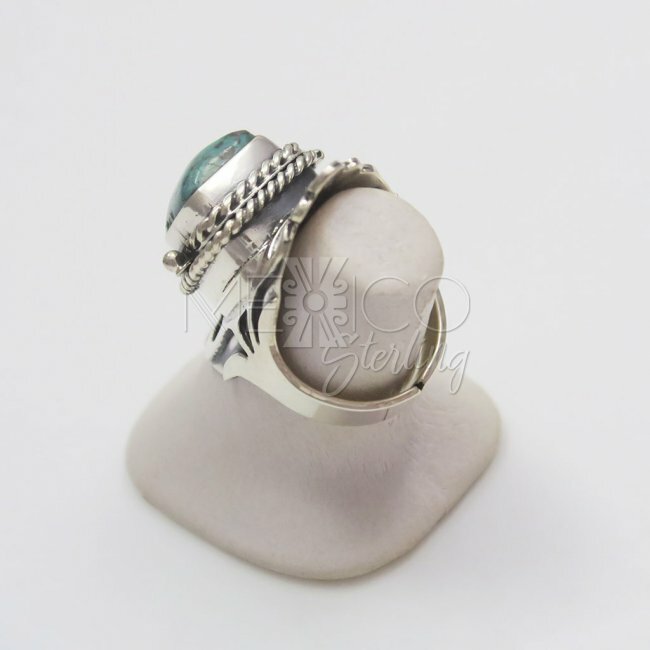 Please take a look at the extra photos, for more details on this wonderful silver ring.